The State Highway 20 Mt Roskill Extension is a key part of a new Western Ring Route that will play an important role in reducing central Auckland congestion, by enabling traffic to completely bypass the Auckland Harbour Bridge. With a cost of $201m, the SH20 redevelopment is one of New Zealand's most significant roading projects and key contractor Fulton Hogan was subject to strict timelines within which to deliver the project. Fulton Hogan needed a fencing partner it could trust to deliver on time and in full, ensuring it could open the new motorway by the agreed contract date. Fulton Hogan is one of Australasia's fastest growing civil contracting companies, and it was appointed key contract partner to the New Zealand Transport Agency for the SH20 redevelopment. 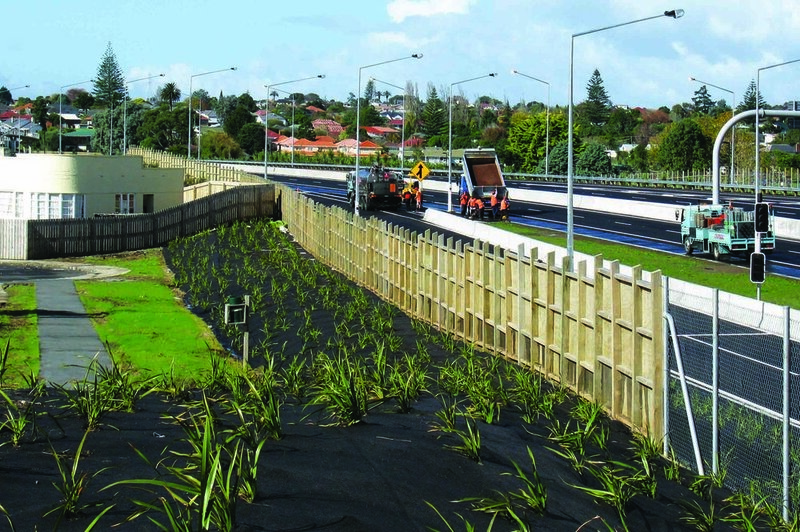 Responsible for all aspects of the project including earth works, site works, road construction, drainage, concrete, metalling, soil stabilisation, kerb and channeling, surfacing and road marking, Fulton Hogan also needed to provide effective fencing solutions before the project could be completed and opened. “All of the fencing work could only start to take place once all of the other major work had been completed”, says Tony Dickens, Project Manager for Fulton Hogan. “This was always going to mean an inevitable bottle neck in the final 6 months of the 3½ year project”, he adds. 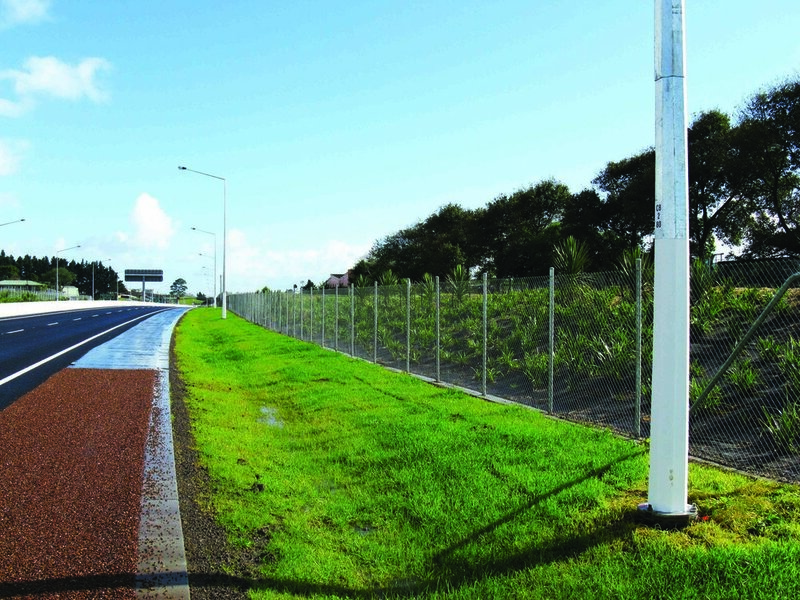 Because the new motorway extension could not be opened until all security, noise and landscaping fencing was completely finished, Fulton Hogan appointed Hampden Fence Ltd as its fencing partner, relying heavily on them to help meet its contract obligations. Resource the project adequately to ensure the open date was met. “Hampden Fence was sat firmly in the hot seat for SH20 and they responded big time”, says Mr. Dickens. “They poured resources in and made sure they were extremely well organised, as they knew we could not afford any down time at the business end of the project”, he adds. With the largest fencing team in New Zealand, Hampden Fence was able to commit to working longer hours than normal (including Saturdays) to ensure Fulton Hogan would meet its open date obligations. Standard wooden post construction was used for the majority of the noise walls with metal I beams used on the higher ones. 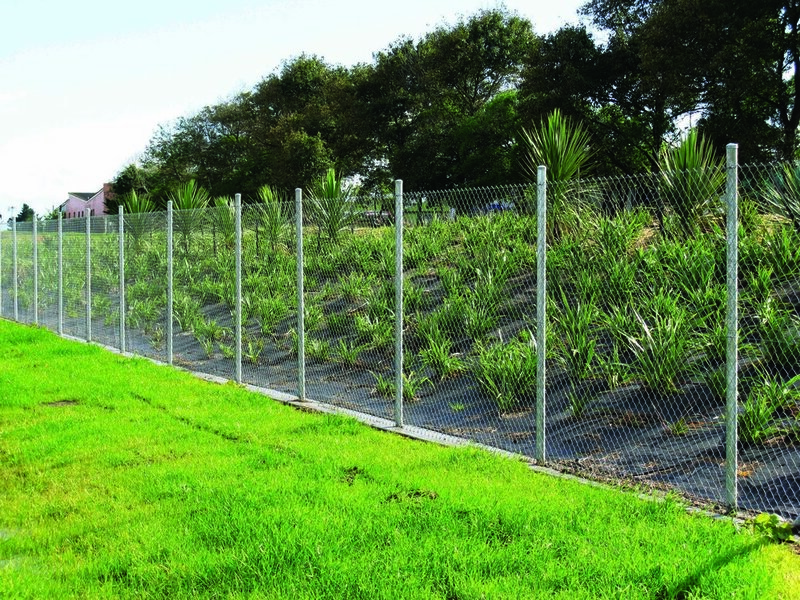 Standard 50 mm Diamond mesh was used with all fences being 2 meters in height. Any area bordering settlement ponds was enclosed with this product for added security. Timber fencing was erected covering x 1.2 kilometres. Predominantly this fencing style was used on the boundaries of neighbouring properties. A standard 2 meter height with mowing strip was the specification. 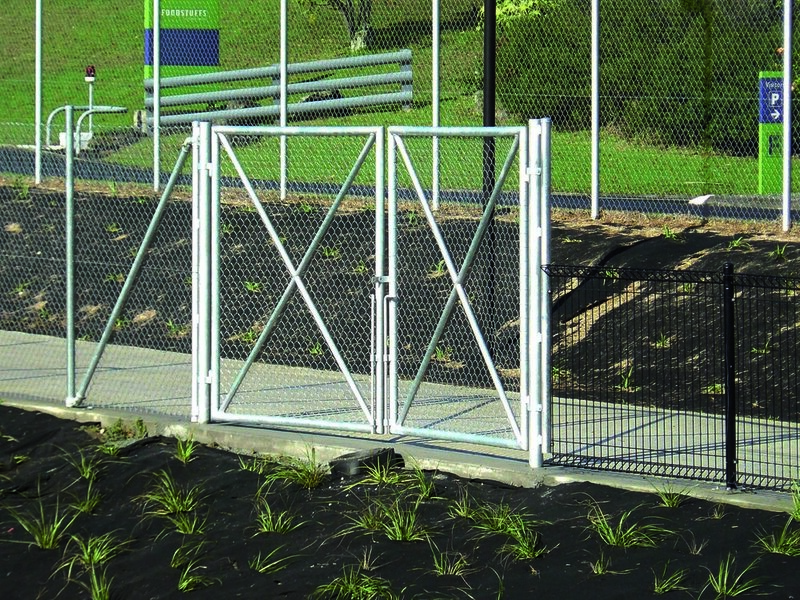 Hampden Fence is New Zealand's largest and most competent fencing company, and that made it an easy choice for Fulton Hogan, who needed a reliable and secure partner they could trust to deliver to strict deadlines. “We have nothing but great feelings towards Hampden Fence”, says Tony.